A convergence is upon us. No, it's not reality colliding with the Upside Down. Halloween arrives October 31 and Stranger Things Season 2 lands October 27. It seems like a good reason to celebrate. Even if you're already dressing up in a Stranger Things Halloween costume, you can take it a step further this year. Hasbro has released three new Stranger Things-inspired board games. One of which is an Ouija board that lets you speak directly with the Upside Down and whoever might be unfortunate enough to be stuck there. 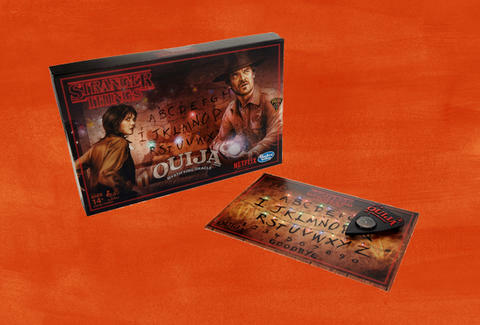 The Ouija Board will instantly let you become a freaked out Joyce Byers screaming at a wall because it's an exact replica of the letters and Christmas lights get-up she put on her living room wall to speak with Will. There is also a new Monopoly board, which brings the familiar game to Hawkins, Indiana. 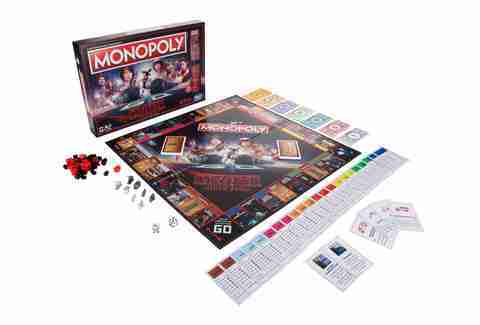 The board includes four silver tokens -- a bicycle, camera, television, and tennis shoe -- as well as a gold version of each one flipped "to represent the Upside Down." The game is pretty much the classic version with renamed locations like "Steve's Pool" and the classic houses and hotels replaced by hideouts and forts. 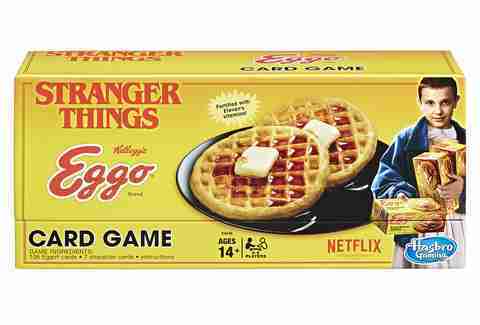 There's also a new Stranger Things Eggo Card Game, that sounds a bit like Uno with players trying to get rid of their cards before the Demogorgon attacks. These games out to be better than bobbing for apples on Halloween. All three games are available right from Target. At a minimum, they shouldn't make you feel like you're drowning in other people's slobber for the privilege of eating a wet piece of fruit. Why is bobbing for apples even a thing?